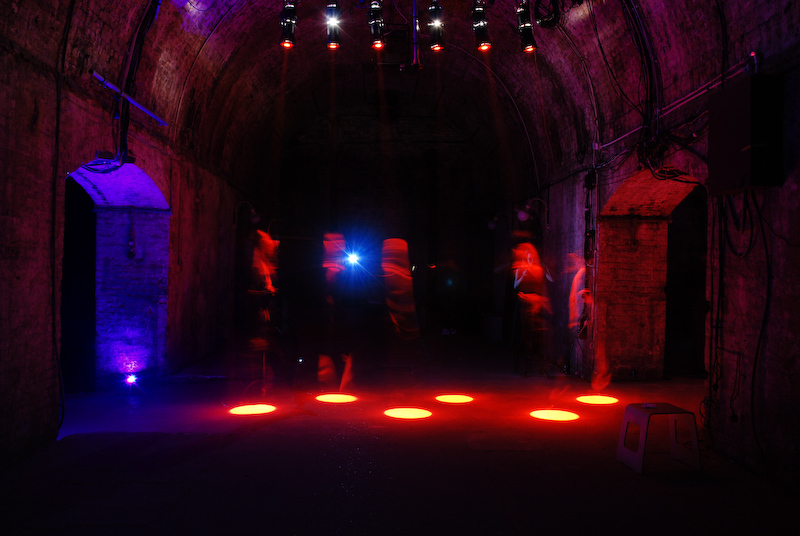 This week C4DM Presents completed work on our sound installation for Shunt Lounge called the Giant Instrument. The concept is you play the instrument by moving in and out of these spotlights. We wanted to give the users a really fun interactive experience and sort-of recreate the feeling you get when you first learn to play a musical instrument. The work was a collaboration between Andrew Robertson, Adam Stark, Jean-Baptiste Thiebaut, Steve Welburn, and Kurt Jacobson. The team really came together and pulled off something great in a short time - exceeding all expectations. Chris Frauenberger and Stuart Battersby took some really great pics of the installation.